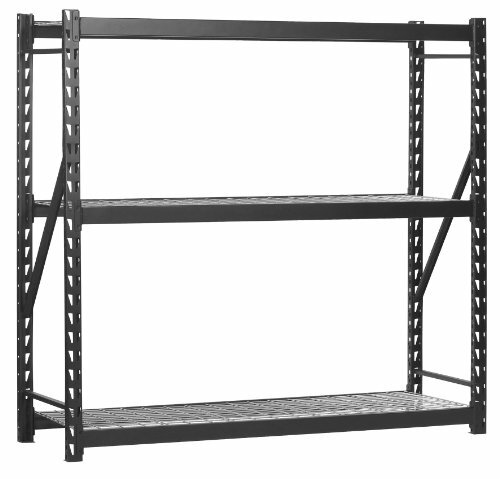 The Sandusky Lee 7224PRBWWD3 is a standing three-shelf storage rack with welded steel frames, welded steel beams, and wire shelves to support a capacity of 2,000 lb. per shelf. This unit has steel braces on both end frames for rigidity. The wire shelves are adjustable in 3" increments to accommodate items of varying height, and the shelves have middle tie bars for support and rigidity. The frames and posts on this storage rack are designed to link together without bolts to facilitate rapid assembly or rapid adjustment of shelf height. This storage rack meets NSF International/ American National Standards Institute (NSF/ANSI) standards for food equipment. The assembled unit is 72 x 77 x 24 inches (H x W x D). (H is height, the vertical distance from lowest to highest point; W is width, the horizontal distance from left to right; D is depth, the horizontal distance from front to back.) Assembly instructions are included. Tools for assembly sold separately.